This week Italy’s preeminent football club, Juventus launched their new brand. Their strategy of going beyond football, entertainment and lifestyle is something many of the big European teams say they do, but none have gone as bold and as far as Juve. The last few days has seen the usual ‘Twitter Storm’ and social media angst that seems to come with every new rebrand these days but I applaud this bold and courageous step change. Most of the top clubs have recently issued updates of their logos/badges with the same kind of marketing language. But until this one, all the ‘rebrands’ appear to just be tweeks and subtle re-crafting projects, with stakeholders worried of fans reactions to change. The Juventus rebrand seems more like the start of a revolution and perhaps, for them, it has to be. Growing up in the 90s Serie A (the Italian equivalent of the Premier League) was the dominant force in European football. The league boasted stars such as Ronaldo, Rui Costa, Batistuta, Del Piero, Zidane and Paolo Maldini. Teams were rich, successful and had the star players. But there’s been a gradual decline in Italian football with attendances, revenues and global interest all going down. This week Deloitte published the Football Money League, where they rank football clubs based on their commercial revenue. Man Utd topped it with a record breaking yearly revenue of €689M. Compared to Juventus who are 10th with a revenue of £341.1M. To compete with clubs from the Premier League, La Liga and the aggressive growth of Chinese football, Juventus realise that they have to do something different and disrupt their space in order to keep up their revnues. Juventus’ strategy for growth, and to continue to compete on the field with Europe's top teams is to become what Interbrand call an ‘Identity brand’. A brand that can be seen as part of someones identity and sit seamlessly alongside entertainment, fashion and lifestyle brands and open the football club up to new markets. Juventus want to appeal to Millennials and people across the globe that may not necessarily be football fans, but recognise the values which the Juventus brand stands for; perseverance, ambition and premium Italian style. 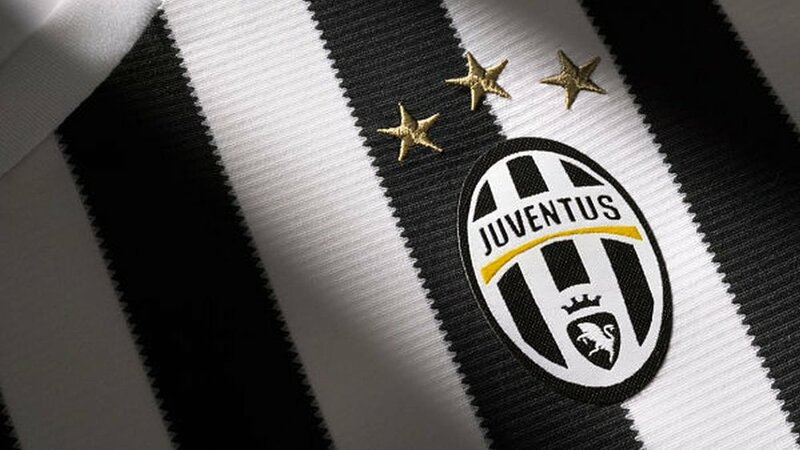 Juventus have deliberately abandoned their club badge, a move to position Juventus beyond football. In fact, it appears that they’ve ditched everything apart from their iconic black and white stripes. In my opinion keeping their traditional black and white colours gives the new brand its confidence and from what has been released so far of the new identity, I’m a huge fan of the typographic approach. The custom typeface which has been named ‘Juventus Fans’ is bold, daring and exciting. It reflects the brand of football that Juventus play on the pitch, but equally transcends into fashion and entertainment and the values they wish to be associated with. The modern, angular ‘J’ mark feels like a statement of intent, a versatile mark which can sit as comfortably on a football jersey as it could at a music concert. Some of the images released of jewellery lines and ski’s seem a little forced at the moment, but it’s a clear indication of how Juventus will grow into this new identity brand. There’s somethings I don’t like and have been disappointed in. The launch video is a poor reflection of the modern brand Juventus claim they want to be. Trying to take the form of an abstract movie trailer, the voice over and imagery is trying too hard and is badly executed in my opinion but there’s plenty of promise to not get too hung up on what is a throw-a-way piece of marketing. There’s been lots of fans from various clubs that have been critical of their teams rebrands lately (Everton’s messy attempt in particular). What I think Juventus have shown is that if you have a clear strategy for growth, strong brand values and you define the markets in which you want to move into, and you’re transparent about that your goals, it will enable your fans, stakeholders and employees to come on that journey with you. Have Juventus laid the path for the future of sports brands or is it a reflection of the relentless monetisation of modern football and all that’s wrong with it? Please leave your comments below, and as always share this article with your friends.